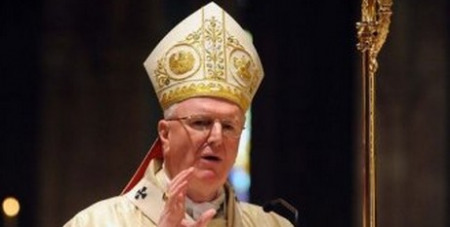 Melbourne's Catholic and Anglican Archbishops have penned a joint letter to Victorian Premier Daniel Andrews condemning the State government's decision to house teenagers in the "harshest of adult prison settings," reports the ABC. Archbishop Denis Hart and Anglican Archbishop Philip Freier said they had taken the unusual step because they shared a deep concern about the welfare of "the most vulnerable and impressionable children" in the youth justice system. The Andrews government last week started transferring teenagers from the Melbourne Youth Justice Centre in Parkville to a segregated wing of Barwon prison near Geelong, following riots that left a damage bill of up to $1 million. But the Archbishops said the maximum security adult prison was designed to contain and manage serious adult offenders, rather than focus on rehabilitating young people. "While we understand that the government has had to make an emergency response to recent unrest within the system we are gravely concerned that part of that response has resulted in children being transferred into the harshest of adult prison settings," they wrote. "Given that Barwon is a maximum security adult prison, the accommodation of children within it will further isolate them, making visits from family members and friends and those involved in their education, health treatment and pastoral care far more difficult." The Archbishops urged the government to find a more appropriate place for the young inmates "that will support their rehabilitation and ultimately reintegration into the community" and offered to provide more chaplaincy services and pastoral care.